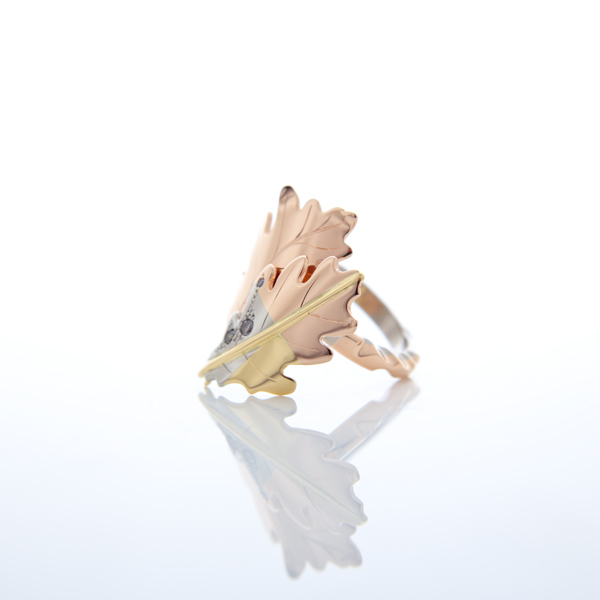 Handcrafted 18ct gold oak leaves with little brilliant cut diamonds sitting over a carved band. 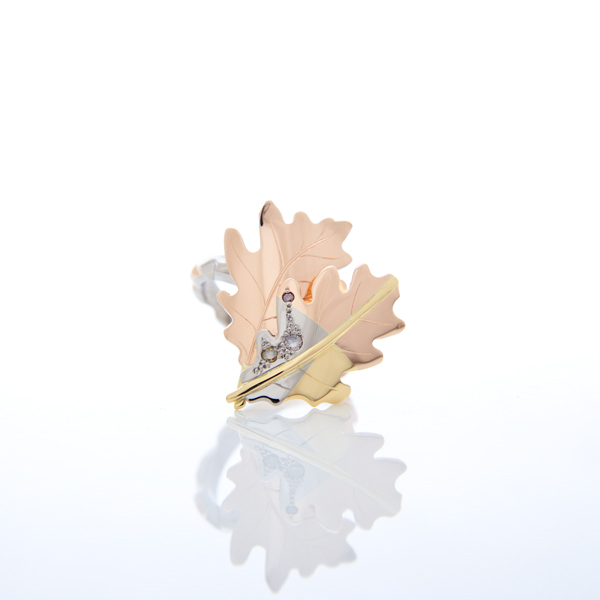 This anniversary was ring designed for a wonderful couple who are graced with a splendid oak tree at the bottom of their garden. Tree’s feature strongly as talismans in peoples lives, their enduring presence and beauty anchor our whirlwind modern lives.